GM hasn't made a car in Venezuela for more than a year. "Everyone should probably reassess their situation, not just looking at your own operations but about the short-, medium-, and long-term outlook for the country and the market." Vehicle production has mostly ground to a halt in Venezuela. Figures include heavy trucks. &nbsp; 2017 Jan.-Feb. 2016 Jan.-Feb.
Now that General Motors is pulling out of Venezuela, the question on the minds of industry analysts and local auto workers is: Who's next? While GM was embroiled in legal troubles of its own that led to the government seizure and shuttering of its Venezuela plant last week -- an action the company said was taken "in total disregard" of its "right to due process" -- it's hardly news that the entire local auto industry is moribund, with nearly zero production and only a trickle of new-vehicle sales after years of economic free fall. In fact, GM hadn't made a single car at its Venezuelan factory in more than a year. In the first two months of 2017, Ford and Mitsubishi's local manufacturing partner were fully idle as well, according to the latest numbers from the Automotive Chamber of Ven-ezuela, and Fiat Chrysler and Toyota made just 226 vehicles between them. Even so, global automakers have been hanging on to their Venezuela assets, paying idled employees and writing off millions of dollars in losses for their South American operations for years, according to analysts and financial statements. But now, GM's departure and an escalating clash between the government and the opposition may embolden competing automakers to lock up and walk away as well. "We do see that companies, if they're not already looking for ways to exit, they will soon because as you can imagine, there's no reason to have a plant open and employ folks if you're not going to build any cars," said Terese Nguyen, an automotive analyst at PwC, in an interview. And in the short term, she added, "there's just a lot of volatility and a lot of political instability that would probably call into question whether or not your operations are going to be not even profitable but sustainable." Venezuela's complicated currency controls make it difficult to import parts needed to assemble cars. They also make it hard for potential buyers to come up with the U.S. dollars car companies now demand for their product. Dollars have been scarce in recent years as Venezuela's revenues from oil exports have plummeted. Ten years ago, nearly half a million light vehicles and heavy trucks were sold in Venezuela. Last year, that total barely crossed 3,000. 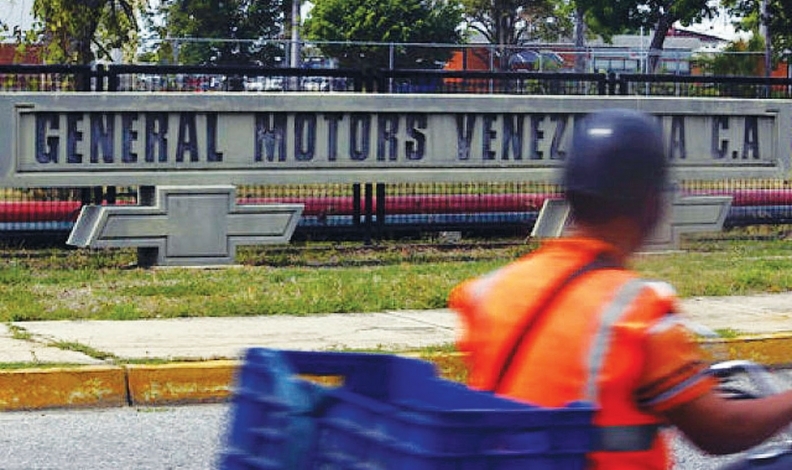 Local media in Venezuela even suggested that the government's seizure of GM's plant, which came in response to a 17-year-old lawsuit from a disgruntled dealer, was a gift to the automaker. Auto workers for other manufacturers, local reports said, were worried that their plants could be next. GM said in its statement that it would fulfill its legal obligations to make severance payments to its employees "as far as the authorities permit" and continue to provide aftermarket service and parts for its customers. Representatives for FCA and Ford declined to comment on what, if any, actions their companies have taken in Venezuela following the seizure of GM's assets. Toyota was similarly tight-lipped: "Our operations in Venezuela have not been affected so far," the company said in a statement to Automotive News. "Our team members, dealers and customers remain our top priorities, and we are monitoring the situation closely." Michael Wayland contributed to this report.